Deborah Debono has teaching, clinical, research and administrative experience. Deborah’s academic qualifications, coupled with nursing experience in metropolitan, rural and remote acute health care settings provide her with research expertise as well as a first-hand understanding of clinical settings. Deborah has had considerable experience with quality improvement projects in both teaching and research roles. As a researcher, Deborah investigates the influence of context, culture, technology, and social relationships on clinicians’ practice. Her doctoral research focused specifically on the role of workarounds in the delivery of health care. Deborah’s PhD was conferred in 2015. 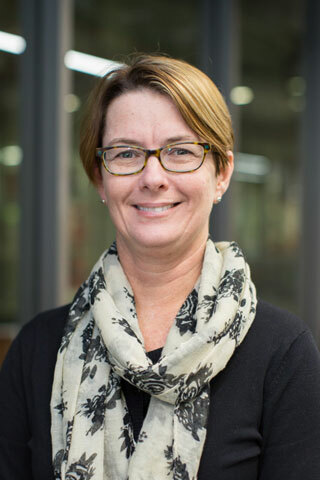 Deborah is currently the Director of Studies of the Health Services Management Program in the Faculty of Health at University of Technology Sydney (UTS). By profession, Deborah was a nurse (Gold Badge recipient) and midwife (Gold Badge recipient) with experience in remote, rural and metropolitan acute care settings. Deborah graduated with a Bachelor of Arts degree majoring in Psychology and Sociology. Her honours thesis (Psychology) investigated automatic and controlled cognitive processing in the elderly. Prior to joining UTS Deborah worked at the Australian Institute of Health Innovation (AIHI) at Macquarie University as a Post-Doctoral Research Fellow, and at AIHI UNSW as a Research Officer. Previously, Deborah worked in the School of Public Health and Community Medicine, UNSW for over ten years, initially as a research assistant on trials related to nicotine patches, smoking cessation and medical education about tobacco and subsequently as the postgraduate research student support officer. Deborah has research experience across a diverse range of areas including investigation of: service provision for young people with mental health and intellectual disabilities; consumer engagement; health services accreditation; medication administration; nursing leadership; quality improvement initiatives in healthcare (e.g. central line bundles, structured handover process, electronic medication management systems); teaching medical students about smoking cessation; and teaching medical students about patient safety. She has also had experience as a clinical trials coordinator in a hospital based drug trial. In 2007 Deborah was the recipient of the UNSW Professional and Technical Staff Award in the category of Excellence in Enhancing the Student Experience. In 2010 Deborah received a Highly Commended Award in the category of UNSW Professional and Technical Staff Award in the category of Excellence in Support for Research Outcomes. Deborah has been involved in research projects ranging from randomised controlled clinical trials to worldwide surveys. She has experience in various qualitative and quantitative methods including surveys, group and individual interviews, and ethnography. Deborah’s research interests are quality improvement, patient safety, health services and delivery of patient care-as-done, workarounds, vulnerable populations, and ancillary staff. As an early career researcher Deborah is developing a strong track record of academic outputs, grant activity and academic service. in care delivery, identify bridges for these and identify what works well in existing services. Shoalhaven region of New South Wales, Australia, to participate in focus group interviews. Data were transcribed and analysed thematically. transition from child to adult services as a particularly challenging time for clients, families and carers. results provide important information to provide quality and integrated care for youth with complex health needs. Medication errors harm hospitalised patients and increase health care costs. Electronic Medication Management Systems (EMMS) have been shown to reduce medication errors. However, nurses do not always use EMMS as intended, largely because implementation of such patient safety strategies requires clinicians to change their existing practices, routines and behaviour. This study uses the Theoretical Domains Framework (TDF) to identify barriers and targeted interventions to enhance nurses' appropriate use of EMMS in two Australian hospitals. This qualitative study draws on in-depth interviews with 19 acute care nurses who used EMMS. A convenience sampling approach was used. Nurses working on the study units (N=6) in two hospitals were invited to participate if available during the data collection period. Interviews inductively explored nurses' experiences of using EMMS (step 1). Data were analysed using the TDF to identify theory-derived barriers to nurses' appropriate use of EMMS (step 2). Relevant behaviour change techniques (BCTs) were identified to overcome key barriers to using EMMS (step 3) followed by the identification of potential literature-informed targeted intervention strategies to operationalise the identified BCTs (step 4). To examine general practice accreditation stakeholders' perspectives and experiences to identify program strengths and areas for improvements.Individual (n=2) and group (n=9) interviews were conducted between September 2011-March 2012 with 52 stakeholders involved in accreditation in Australian general practices. Interviews were recorded, transcribed and thematically analysed. Member checking activities in April 2016 assessed the credibility and currency of the findings in light of current reforms.Overall, participants endorsed the accreditation program but identified several areas of concern. Noted strengths of the program included: program ownership, peer review and collaborative learning; access to Practice Incentives Program payments; and, improvements in safety and quality. Noted limitations in these and other aspects of the program offer potential for improvement: evidence for the impact of accreditation; resource demands; clearer outcome measures; and, specific experiences of accreditation.The effectiveness of accreditation as a strategy to improve safety and quality was shaped by the attitudes and experience of stakeholders. Strengths and weaknesses in the accreditation program influence, and are influenced by, stakeholder engagement and disengagement. After several accreditation cycles, the sector has the opportunity to reflect on, review and improve the process. This will be important if the continued or extended engagement of practices is to be realised to assure the continuation and effectiveness of the accreditation program. Purpose - Quality of care in the residential aged sector has changed over the past decade. The purpose of this paper is to examine these changes from the perspectives of staff to identify factors influencing quality of residential aged care, and the role and influence of an aged care accreditation programme. Design/methodology/approach - Focus groups were held with 66 aged care staff from 11 Australian aged care facilities. Data from semi-structured interviews were analysed to capture categories representing participant views. Findings - Participants reported two factors stimulating change: developments in the aged care regulatory and policy framework, and rising consumer expectations. Four corresponding effects on service quality were identified: increasing complexity of resident care, renewed built environments of aged care facilities, growing focus on resident-centred care and the influence of accreditation on resident quality of life. The accreditation programme was viewed as maintaining minimum standards of quality throughout regulatory and social change, yet was considered to lack capacity of itself to explicitly promote or improve resident quality of life. Research limitations/implications - For an increasingly complex aged care population, regulatory and societal change has led to a shift in service provision from institutional care models to one that is becoming more responsive to consumer expectations. The capacity of long-established and relatively static accreditation standards to better accommodate changing consumer needs comes into question. Originality/value -This is the first study to examine the relationship between accreditation and residential aged care service quality from the perspectives of staff, and offers a nuanced view of "quality" in this setting. The study aim was to investigate the understandings and concerns of stakeholders regarding the evolution of health service accreditation programs in Australia. Stakeholder representatives from programs in the primary, acute and aged care sectors participated in semi-structured interviews. Across 2011-12 there were 47 group and individual interviews involving 258 participants. Interviews lasted, on average, 1h, and were digitally recorded and transcribed. Transcriptions were analysed using textual referencing software. Four significant issues were considered to have directed the evolution of accreditation programs: altering underlying program philosophies; shifting of program content focus and details; different surveying expectations and experiences and the influence of external contextual factors upon accreditation programs. Three accreditation program models were noted by participants: regulatory compliance; continuous quality improvement and a hybrid model, incorporating elements of these two. Respondents noted the compatibility or incommensurability of the first two models. Participation in a program was reportedly experienced as ranging on a survey continuum from "malicious compliance" to "performance audits" to "quality improvement journeys". Wider contextual factors, in particular, political and community expectations, and associated media reporting, were considered significant influences on the operation and evolution of programs. A hybrid accreditation model was noted to have evolved. The hybrid model promotes minimum standards and continuous quality improvement, through examining the structure and processes of organisations and the outcomes of care. The hybrid model appears to be directing organisational and professional attention to enhance their safety cultures. Copyright © 2015 John Wiley & Sons, Ltd.
Accrediting health care organizations against standards is a recognized safety and quality intervention. The credibility of an accreditation programme relies on surveying reliability. We investigated accreditation survey coordinators' perceptions of reliability issues and their continued relevancy, during a period of national accreditation reform.In 2013 and 2014, questionnaire surveys were developed using survey coordinators' feedback of their experiences and concerns regarding the accreditation process. Each year, a purpose-designed questionnaire survey was administered during the accrediting agency survey coordinator training days.Participants reported that survey reliability was informed by five categories of issues: the management of the accreditation process, including standards and health care organizational issues; surveyor workforce management; survey coordinator role; survey team; and individual surveyors. A new accreditation system and programme did not alter the factors reported to shape survey reliability. However, across the reform period, there was a noted change within each category of the specific issues that were of concern. Furthermore, consensus between coordinators that existed in 2013 appears to have diminished in 2014. Across all categories, in 2014 there was greater diversity of opinion than in 2013.The known challenges to the reliability of an accreditation programme retained their potency and relevancy during a period of reform. The diversity of opinion identified across the coordinator workforce could potentially place the credibility and reliability of the new scheme at risk. The study highlights that reliability of an accreditation scheme is an ongoing achievement, not a one-off attainment. Effective nursing leadership is necessary for the delivery of safe, high quality healthcare. Yet experience and research tells us that nursing leaders are commonly unprepared for their roles. Take The Lead (TTL), a large-scale, multifaceted professional development program was initiated in New South Wales, Australia, to strengthen the capacity of Nursing/Midwifery Unit Managers (N/MUMs). The aim of this study was to examine the effects of TTL on job performance, nursing leadership and patient experience.Nursing/Midwifery Unit Managers (n = 30) and managers of N/MUMs (n = 30) who had completed the TTL program were interviewed between August and December 2010. The semi-structured interviews included a combination of open-ended questions and questions that required respondents to rate statements using a Likert scale. Data from the open-ended questions were thematically analysed to identify and categorise key concepts. The responses to the Likert items were analysed via descriptive statistics.Nursing/Midwifery Unit Managers' participation in TTL engendered improvements in job performance and leadership skills, as well as some improvement in patients' experiences of care. The program facilitated role clarification and helped foster peer-support and learning networks, which were perceived to provide ongoing professional and personal benefits to participants.Our study revealed a consensus about the beneficial outcomes of TTL among those involved with the program. It supports the significant and ongoing value of widely implemented, multifaceted nursing leadership development programs and demonstrates that participants value their informal interactions as highly as they do the formal content. These findings have implications for delivery mode of similar professional development programs. Agencies promoting national health-care accreditation reform to improve the quality of care and safety of patients are largely working without specific blueprints that can increase the likelihood of success.This study investigated the development and implementation of the Australian Health Service Safety and Quality Accreditation Scheme and National Safety and Quality Health Service Standards (the Scheme), their expected benefits, and challenges and facilitators to implementation.A multimethod study was conducted using document analysis, observation and interviews. Data sources were eight government reports, 25 h of observation and 34 interviews with 197 diverse stakeholders.Development of the Scheme was achieved through extensive consultation conducted over a prolonged period, that is, from 2000 onwards. Participants, prior to implementation, believed the Scheme would produce benefits at multiple levels of the health system. The Scheme offered a national framework to promote patient-centred care, allowing organizations to engage and coordinate professionals' quality improvement activities. Significant challenges are apparent, including developing and maintaining stakeholder understanding of the Scheme's requirements. Risks must also be addressed. The standardized application of, and reliable assessment against, the standards must be achieved to maintain credibility with the Scheme. Government employment of effective stakeholder engagement strategies, such as structured consultation processes, was viewed as necessary for successful, sustainable implementation.The Australian experience demonstrates that national accreditation reform can engender widespread stakeholder support, but implementation challenges must be overcome. In particular, the fundamental role of continued stakeholder engagement increases the likelihood that such reforms are taken up and spread across health systems. Health systems are changing at variable rates. Periods of significant change can create new challenges or amplify existing barriers to accreditation program credibility and reliability. The purpose of this paper is to examine, during the transition to a new Australian accreditation scheme and standards, challenges to health service accreditation survey reliability, the salience of the issues and strategies to manage threats to survey reliability.Across 2013-2014, a two-phase, multi-method study was conducted, involving five research activities (two questionnaire surveys and three group discussions). This paper reports data from the transcribed group discussions involving 100 participants, which was subject to content and thematic analysis. Participants were accreditation survey coordinators employed by the Australian Council on Healthcare Standards.Six significant issues influencing survey reliability were reported: accreditation program governance and philosophy; accrediting agency management of the accreditation process, including the program's framework; survey coordinators; survey team dynamics; individual surveyors; and healthcare organizations' approach to accreditation. A change in governance arrangements promoted reliability with an independent authority and a new set of standards, endorsed by Federal and State governments. However, potential reliability threats were introduced by having multiple accrediting agencies approved to survey against the new national standards. Challenges that existed prior to the reformed system remain.Capturing lessons and challenges from healthcare reforms is necessary if improvements are to be realized. The study provides practical and theoretical strategies to promote reliability in accreditation programs. Hospital accreditation programs are internationally widespread and consume increasingly scarce health resources. However, we lack tools to consistently identify suitable indicators to assess and monitor accreditation outcomes. We describe the development and validation of such a tool.Using Australian accreditation standards as our reference point we: reviewed the research evidence for potential indicators; looked for links with existing external indicators; and assessed relevant state and federal policies. We allocated provisional scores, on a five point Likert scale, to the five accountability criteria in the tool: research; accuracy; proximity; no adverse effects; and specificity. An expert panel validated the use of the purpose designed indicator assessment tool. The panel identified hand hygiene compliance rates as a suitable process indicator, and hospital acquired Staphylococcus aureus infection (SAB) rates as an outcome indicator, with the hypothesis that improved hand hygiene compliance rates and lower SAB rates would correlate with accreditation performance.This new tool can be used to identify, analyse, and compare accreditation indicators. Using infection control indicators such as hand hygiene compliance and SAB rates to measure accreditation effectiveness has merit, and their efficacy can be determined by comparing accreditation scores with indicator outcomes. To verify the tool as a robust instrument, testing is needed in other health service domains, both in Australia and internationally. This tool provides health policy makers with an important means for assessing the accreditation programs which form a critical part of the national patient safety and quality framework. For researchers, policymakers, and practitioners facing a new field, undertaking a systematic review can typically present a challenge due to the enormous number of relevant papers. A scoping review is a method suggested for addressing this dilemma; however, scoping reviews present their own challenges. This paper introduces the "scoping meta-review" (SMR) for expanding current methodologies and is based on our experiences in mapping the field of consumer engagement in healthcare. During this process, we developed the novel SMR method. An SMR combines aspects of a scoping review and a meta-review to establish an evidence-based map of a field. Similar to a scoping review, an SMR offers a practical and flexible methodology. However, unlike in a traditional scoping review, only systematic reviews are included. Stages of the SMR include: undertaking a preliminary nonsystematic review; building a search strategy; interrogating academic literature databases; classifying and excluding studies based on titles and abstracts; saving the refined database of references; revising the search strategy; selecting and reviewing the full text papers; and thematically analyzing the selected texts and writing the report. The main benefit of an SMR is to map a new field based on high-level evidence provided by systematic reviews. The study aims are twofold. First, to investigate the suitability of hand hygiene as an indicator of accreditation outcomes and, second, to test the hypothesis that hospitals with better accreditation outcomes achieve higher hand hygiene compliance rates.A retrospective, longitudinal, multisite comparative survey.Acute public hospitals in New South Wales, Australia.96 acute hospitals with accreditation survey results from two surveys during 2009-2012 and submitted data for more than four hand hygiene audits between 2010 and 2013.Our primary outcome comprised observational hand hygiene compliance data from eight audits during 2010-2013. The explanatory variables in our multilevel regression model included: accreditation outcomes and scores for the infection control standard; timing of the surveys; and hospital size and activity.Average hand hygiene compliance rates increased from 67.7% to 80.3% during the study period (2010-2013), with 46.7% of hospitals achieving target compliance rates of 70% in audit 1, versus 92.3% in audit 8. Average hand hygiene rates at small hospitals were 7.8 percentage points (pp) higher than those at the largest hospitals (p<0.05). The association between hand hygiene rates, accreditation outcomes and infection control scores is less clear.Our results indicate that accreditation outcomes and hand hygiene audit data are measuring different parts of the quality and safety spectrum. Understanding what is being measured when selecting indicators to assess the impact of accreditation is critical as focusing on accreditation results would discount successful hand hygiene implementation by smaller hospitals. Conversely, relying on hand hygiene results would discount the infection control related research and leadership investment by larger hospitals. Our hypothesis appears to be confounded by an accreditation programme that makes it more difficult for smaller hospitals to achieve high infection control scores. BACKGROUND: Although consumer and community engagement (CCE) in health care is receiving increasing attention, research and practice in this area are hampered by the variability of concepts and terminology commonly employed. This scoping meta-review aims to identify key CCE concepts and examine terminology used to describe them. METHODS: In a scoping meta-review, an extensive list of 47 phrases and 11 Medical Subject Headings (MeSH) was used to undertake a comprehensive and systematic search in PubMed Central, Embase, EBM reviews, CINAHL, APAPsycNET, and Scopus. RESULTS: 59 systematic reviews met the selection criteria and were included in the final analysis. The analysis identified nine different concepts related to CCE: shared decision making, self-management, CCE in health care systems, community-based health promotion, providing access to health care, rehabilitation, participation in research, collaboration in research design and conduct, and peer support. The identified concepts differ from each other in many aspects including the aim of the activity, the role of consumers and the type of professionals' involvement. Each concept was described by a range of terms, with some terms shared by different concepts. In addition, two overlapping concepts of patient-centeredness and patient empowerment were recognised. CONCLUSIONS: This study describes CCE-related key concepts and provides new insight into their relationship with different CCE-related terms. Identification of key CCE-related concepts and terms will be useful to focus future studies and initiatives and enhance production of CCE-related evidence. Purpose - This paper aims to explore the development of the concept of clinical governance as an international approach to addressing quality and safety issues in healthcare. Design/methodology/approach - The authors reviewed and analysed published clinical governance abstracts from 1966 to 2009. Citations were identified through a systematic search of Medline, Embase and CINAHL databases. A time series analysis was undertaken on the citations. The contents of the abstracts were then examined using an automated data-mining software package in order to identify underlying concepts. Findings - A total of 2,000 publications which made direct mention of clinical governance were identified across the 43-year search period. All were produced after 1998. This was when the concept was first seriously mobilised. Of the 2,000 citations, 2.3 per cent were published in 1998 and 6.3 per cent in 2008 (the last complete year available). The peak was reached in 2003, when 12.7 per cent of all clinical governance citations were published. The years 1998 to 2003 accounted for 59.2 per cent of all citations (to September 2009). There has been a steady decrease in the number of citations making direct reference to clinical governance since 2003. Originality/value - This paper maps the development and peak of clinical governance as a mobilising concept in healthcare in the late twentieth and early twenty-first centuries and shows how its conceptual underpinnings have been taken up by wider quality and safety agendas. Fads and fashions rise and fall in healthcare, as in other areas of life. © 2011 Emerald Group Publishing Limited. Richmond, R, Debono, DS, Larcos, D & Kehoe, L 1998, 'Worldwide survey of teaching medical students about tobacco. ', Tobacco Control, vol. 7, pp. 247-252. OBJECTIVES—To determine the extent of teaching about tobacco, tobacco-related diseases, and smoking cessation techniques in medical schools around the world; and to ascertain the problems of getting the teaching about tobacco onto the medical curriculum. DESIGN—Cross-sectional survey. Questionnaires were sent to the 1353 medical schools in 143 countries around the world using the World Health Organization's Directory of Medical Schools. The questionnaire was translated from English into French, Russian, Mandarin, and Japanese. SUBJECTS—Deans of medical schools worldwide, or their nominees. MAIN OUTCOME MEASURES—Extent and format of teaching about tobacco in the medical curriculum, objectives and content of the courses on tobacco, and problems encountered in introducing the topic of tobacco. RESULTS—493 medical schools responded, representing 64% of countries and 36% of schools. Only 12% of medical schools did not cover the topic of tobacco in the medical curriculum. 58% of medical schools taught about tobacco during the teaching of other subjects. 40% taught tobacco by systematically integrating teaching with other modules. 11% had a specific module on tobacco. The medical schools reported on the objectives and content of their courses on tobacco, which commonly included knowledge about tobacco-related diseases and pharmacological issues. Only a third taught about smoking cessation techniques. 22% had encountered problems in introducing the topic of tobacco, and respondents offered solutions to overcome these problems. CONCLUSIONS—Medical schools need continued encouragement to include tobacco issues in their curricula, with particular emphasis on teaching about smoking cessation techniques. Debono, DS, Hogden, A, Greenfield, D, Brandon, M, Mumford, V, Westbrook, J & Braithwaite, J 2017, 'How does an accreditation programme in residential aged care inform the way residents manage their healthcare and lifestyle?' in McDermott, A, Kitchener, M & Exworthy, M (eds), Managing Improvement in Healthcare Attaining, Sustaining and Spreading Quality, Palgrave, London, pp. 295-310. Reflecting the challenges and opportunities of achieving improvement in healthcare systems, the contributions of this innovative new text lend depth and nuance to an increasing area of academic debate. Process mapping is a simple, yet powerful tool that can form the basis of quality improvement work. This chapter starts with a case study that describes the experience of 'Bob', a 42-year-old male, living with mental illness and an intellectual disability. Bob's story highlights how system issues can be surfaced and explored using process mapping. Following the case study, we will delve more deeply into background and fundamentals of process mapping as a tool for quality improvement. This Unique Compendium Of Case Studies On Patient Safety – Told From The Perspective Of The Patient And Family – Illustrates 24 Stories Of Preventable Health Care Errors That Led To Irreparable Patient Harm. This book contains contributions from international experts in health care, organisational studies and patient safety, as well as resilience engineering. This book examines how healthcare organisations shape, adapt and resist developments in healthcare policy and practice. Richmond, R, Debono, D & Larcos, D 1996, 'Worldwide survey of the teaching of medical students about tobacco' in Richmond, R (ed), Educating Medical Students about Tobacco: Planning and Implementation, Southwood Press Pty Ltd, Marickville, pp. 281-298. Debono, DS, Travaglia, J & Robertson, H 2018, 'Organisational communication as trespass: A patient safety perspective. ', 11th International Organisational Behaviour in Healthcare Conference, Montreal, Canada. Hinchcliff, R, Debono, DS, Carter, D & Banks, M 2018, 'Systematic reviews of the evidence supporting three methods of external accreditation assessment', ISQua's 35th International Conference - Heads, Hearts and Hands: Weaving the Fabric of Quality and Safety in Healthcare. International Society for Quality in Health Care, Kuala Lumpur, Malaysia. Travaglia, J, Debono, DS, Robertson, H, Levett-Jones, T, Dean, S, Hinchcliff, R, Hor, S, Justin, L & Hughes, C 2018, 'As the left hand of darkness is light, so the left hand of risk is vulnerability: a new perspective on patient safety', ISQua's 35th International Conference - Heads, Hearts and Hands: Weaving the Fabric of Quality and Safety in Healthcare. International Society for Quality in Health Care, Kuala Lumpur. Dean, S, Levett-Jones, T, Debono, DS, Robertson, H, Hinchcliff, R & Travaglia, JF 2018, 'Intersectionality and harm versus autonomy: findings from international studies examining whether vulnerabilities contribute to differences in patient safety', Conference on Interdisciplinary Social Sciences, Grenada, Spain. Williams, R, Long, JC, Debono, DS, Chin, M & Taylor, N 2017, 'Working with Clinicians to Identify Barriers to Family Cancer Clinic Referrals for Patients at High Risk of Lynch Syndrome', InSiGHT Biennial Conference: A multidisciplinary approach to hereditary GI cancers: from bench to bedside, Florence, Italy. Clay-Williams, R, Debono, DS & Braithwaite, J 2016, ''Who are they, and why should I identify with them?' How 'knowing' colleagues can denote individuals, and improve and sustain patient care'. ', 10th International Organisational Behaviour in Healthcare Conference, Cardiff, UK. Hogden, A, Greenfield, D, Brandon, M, Debono, DS, Mumford, V, Westrbook, J & Braithwaite, J 2016, 'Does an accreditation program in residential aged care attain, sustain and spread improvement relevant to residents and their families? ', 10th International Organisational Behaviour in Healthcare Conference, Cardiff, UK. Braithwaite, J, Clay-Williams, R, Taylor, N, Debono, DS, Long, J, Rapport, F & Hogden, A 2016, 'Improvements in patient safety in the real world: Safety-II in a resilient health system. ', 10th International Organisational Behaviour in Healthcare Conference, Cardiff, UK. Debono, DS, Greenfield, D, Mumford, V & Braithwaite, J 2016, 'Improvements identified, but future sustainability is not assured: stakeholders' views on accreditation in Australian general practices. ', 33rd International Safety and Quality Conference: Change and sustainability in healthcare quality: the future challenges, International Society for Quality in Health Care, Tokyo, Japan. Taylor, N, Debono, DS, Long, J & Williams, R 2016, 'Co-designing interventions to overcome key barriers to referral of colorectal cancer patients with a high risk of hereditary cancer to genetics counselling services. ', 33rd International Safety and Quality Conference: Change and sustainability in healthcare quality: the future challenges, International Society for Quality in Health Care, Tokyo, Japan. Long, JC, Debono, DS, Chin, M, Williams, R & Taylor, N 2016, 'There's always a reason: using theory to define barriers to clinicians' practice change', Innovations in Cancer Treatment and Care Conference, Sydney, NSW. Taylor, N, Long, JC & Debono, DS 2016, 'Hide and seek with hereditary cancer', Sydney Cancer Conference, Sydney, NSW. Taylor, N, Long, J & Debono, DS 2016, 'Using behaviour change and implementation science to translate hereditary cancer evidence into practice. ', Sydney Cancer Conference 2016, Sydney, NSW. Long, JC, Williams, R, Debono, DS, Chin, M & Taylor, N 2016, 'Working with Clinicians to Identify Barriers to Family Cancer Clinic Referrals for Patients at High Risk of Lynch Syndrome', Familial Aspects of Cancer: Research and Practice, Kingscliff, NSW. Long, JC, Debono, DS, Potter, M, O'Neill, S, Morris, S & Taylor, N 2016, 'Precious resources: rich rewards from true consumer partnership', Sydney Cancer Conference. Long, JC, Debono, DS, O'Neill, S, Potter, M & Taylor, N 2015, 'Enriching cancer research with consumer dialogue', New Horizons Conference 2015, Sydney, NSW. Taylor, N, Williams, R, Debono, DS, Chin, M, Long, J, Salisbury, E, Butler, J, Potter, M, O'Neill, S & Braithwaite, J 2015, 'Achieving healthcare professional behaviour change for detection and management of lynch syndrome', Asia-Pacific Journal of Clinical Oncology, Clinical Oncology Society of Australia (COSA) 42nd Annual Meeting, Wiley, Hobart, TAS, pp. 102-103. Debono, DS, Taylor, N, Long, J, Braithwaite, J, Chin, M, Williams, R, Salisbury, E, O'Neill, S, Dunlop, T, Phan-Thien, K-C & Eykman, E 2015, 'Referral as imagined versus referral as done: mapping the referral process for genetic counselling for Lynch syndrome patients. ', Innovations in Cancer Treatment and Care Conference, Sydney, NSW. Debono, DS, Greenfield, D, Hogden, A & Braithwaite, J 2015, 'Cohesion and diversity bring opportunity: a survey of the critical elements, strengths and challenges to an Australian primary care accreditation program. ', 32nd International Safety and Quality Conference: Building quality and safety into the healthcare system, International Society for Quality in Health Care, Doha, Qatar. Greenfield, D, Hogden, A, Debono, DS & Braithwaite, J 2015, 'Stakeholder views of the Australian national safety and quality health service standards: perspectives from the new world', 32nd International Safety and Quality Conference: Building quality and safety into the healthcare system, Doha, Qatar. Hogden, A, Debono, DS, Greenfield, D & Braithwaite, J 2015, 'Partnering with consumers: the Australian experience of the development of a national health service accreditation standard', 32nd International Safety and Quality Conference: Building quality and safety into the healthcare system, Doha, Qatar. Debono, DS, Clay-Williams, R, Taylor, N, Greenfield, D & Braithwaite, J 2015, 'Unlocking the potential of resilience in healthcare: using workarounds to expose what being 'good' at their job means for clinicians. ', Resilient Health Care Net Meeting. Clay-Williams, R, Johnson, J, Debono, DS & Braithwaite, J 2014, 'The path from policy to practice - resilience of everyday work in acute settings. ', 'When health policy meets every day practice', the Ninth Biennial Conference in Organisational Behaviour in Health Care, Copenhagen. Mumford, V, Greenfield, D, Debono, DS & Braithwaite, J 2014, 'Hand hygiene compliance rates as an indicator of hospital accreditation: A longitudinal, comparative study of 96 Australian hospitals', 31st International Safety and Quality Conference: Quality and safety along the health and social care continuum, International Society for Quality in Health Care, Rio de Janeiro, Brazil. Hogden, A, Greenfield, D, Debono, DS & Braithwaite, J 2014, 'Experiences of care, quality and safety in aged care homes: the views of health professionals and residents and their families. ', 31st International Safety and Quality Conference: Quality and safety along the health and social care continuum, International Society for Quality in Health Care, Rio de Janeiro, Brazil. Debono, DS, Greenfield, D, Hogden, A & Braithwaite, J 2014, 'A glass half full or half empty? Perspectives from the frontline about accreditation survey reliability', 31st International Safety and Quality Conference: Quality and safety along the health and social care continuum, Rio de Janeiro. Brazil. Sarrami Foroushani, P, Travaglia, J, Debono, DS & Braithwaite, J 2013, 'A new framework for evaluating consumer and community engagement in health care systems: results of a meta-review. ', Quality and Safety in Population Health and Healthcare, ISQua 30th International Conference, Edinburgh, Scotland. Johnson, J, Debono, DS, Kim, J, Leitner, R, Florio, T & Milne, J 2013, 'Asking stakeholders what they need: shaping service delivery for people with intellectual disability and mental health problems', 2013 Primary Health Care Research Conference, Sydney, NSW. Debono, DS, Greenfield, D, Black, D & Braithwaite, J 2012, 'Engaging with electronic medication systems in everyday practice: how is it done and what are the implications for medical imaging? ', The Australasian Conference on Error in Medical Imaging, Melbourne, VIC. Debono, DS, Travaglia, J, Thoms, D & Braithwaite, J 2011, 'Can increased administrative support for managers and clinicians meet the challenge of improving patient care? ', The Great Healthcare Challenge 2011, Melbourne, VIC. Travaglia, J, Debono, DS, Thoms, D & Braithwaite, J 2011, 'Factors affecting the implementation and sustainability of quality improvement strategies: a study of multiple perspectives: a model', Patient Safety: Sustaining the Global Momentum: using e-health, health technology, education, research and policy, ISQua 28th International Conference, Hong Kong, China. Travaglia, J, Debono, DS, Thoms, D & Braithwaite, J 2011, 'Indicators of a healthy clinical unit: an examination of the development process and key findings', Patient Safety: Sustaining the Global Momentum: using e-health, health technology, education, research and policy, ISQua 28th International Conference, Hong Kong, China. Debono, DS, Travaglia, J, Thoms, D & Braithwaite, J 2011, 'Strengthening the leadership role of Nursing/Midwifery Unit Managers', Patient Safety: Sustaining the Global Momentum: using e-health, health technology, education, research and policy, ISQua 28th International Conference, Hong Kong, China. Debono, DS, Greenfield, D, Black, D & Braithwaite, J 2010, 'Workarounds: straddling or widening gaps in the safe delivery of healthcare. ', Mind the Gap the Seventh Biennial Conference in Organisational Behaviour in Health Care, Birmingham, UK. Debono, DS, Braithwaite, J, Greenfield, D & Black, D 2010, 'Using workarounds to 'get the job done'', School of Public Health and Community Medicine Research Student Conference, Sydney, NSW. Johnson, J, Debono, DS, Travaglia, J & Hanson, C 2010, 'An Evaluation of the Central Line Associated Bacteraemia Project', 8th Australasian Conference on Safety and Quality in Health Care. Greenfield, D, Nugus, P, Fairbrother, G, Milne, J, Debono, DS, Travaglia, J & Braithwaite, J 2010, 'Improving clinical governance; lessons from testing a model to enable others 'to do it better'. ', Back to the Future: 8th Australasian Conference on Safety and Quality in Health Care, Perth, WA. Johnson, J, Debono, DS, Travaglia, J & Hanson, C 2010, 'An Evaluation of a State-wide Collaborative to Reduce Central Line Associated Bacteremia in ICUs in Australia', Twenty-seventh International Safety and Quality Conference: Quality Outcomes – Achieving Patient Improvement, International Society for Quality in Health Care, Paris, France. respond to the needs of people with intellectual disabilities (PWID). strategies, clinical, ethical/research and environmental responses. of the Australian Health Service Safety and Quality Accreditation (AHSSQA) Scheme. carers, clinicians, managers, policymakers and healthcare organisations. the quality of health service provision. accrediting agencies, approved by the Commission, as part of the AHSSQA Scheme. have raised concerns about several aspects of the accreditation process. Australian Health Service Safety and Quality Accreditation (AHSSQA) Scheme. and coordinating national models of accreditation for health service organisations. accrediting agencies approved by the Commission as part of the AHSSQA Scheme. Debono, DS, Kim, J, Leitner, R, Wille, J, Chenoweth, B, Florio, A, O'Connor, L, Lenroot, R, Milne, J & Johnson, J 2014, A Comprehensive Report of the Needs Assessment of the Metro-Regional Intellectual Disability Pilot: Focus Groups and Survey with Service Providers, Sydney, NSW. Debono, DS, Travaglia, J, Sarrami-Foroushani, P & Braithwaite, J 2013, Consumer engagement in the Agency for Clinical Innovation (ACI): Key stakeholder perspectives, Sydney, NSW. Sarrami-Foroushi, P, Travaglia, J, Debono, DS & Braithwaite, J 2013, Consumer and community engagement: A synthesis of the literature on knowledge management in health systems and community engagement in health systems for the Agency for Clinical Innovation., Sydney, NSW. Travaglia, J, Debono, DS, Thoms, D, Hillman, K, Middleton, S, Hughes, C & Braithwaite, J 2011, Change management strategies and practice development in nursing: a review of the literature, Sydney, NSW. Travaglia, J, Debono, DS, Erez-Rein, N, Milne, J, Plumb, J, Wiley, J, Callaway, A, Dunn, A, Johnson, J & Braithwaite, J 2011, Report of the mid program evaluation of 'take the lead', Sydney, NSW. Travaglia, J, Debono, DS, Plumb, J, Milne, J, Wiley, J, Erez-Rein, N & Braithwaite, J 2010, Project to improve the organisational health of clinical units: report on the development of the indicators and assessment tool, Sydney, NSW. Travaglia, J, Debono, DS, Plumb, J, Wiley, J, Milne, J, Erez-Rein, N & Braithwaite, J 2010, Project to improve the organisational health of clinical units: literature review, Sydney, NSW. Travaglia, J, Debono, DS, Plumb, J, Wiley, J, Milne, J, Erez-Rein, N & Braithwaite, J 2010, Project to improve the organisational health of clinical units: indicators, Sydney, NSW. Travaglia, J, Debono, DS, Erez-Rein, N, Plumb, J, Wiley, J, Milne, J & Braithwaite, J 2010, Project to improve the organisational health of clinical units: assessment tool, Sydney, NSW. Debono, DS, Travaglia, J, Plumb, J, Wiley, J, Milne, J, Erez-Rein, N & Braithwaite, J 2010, Project to improve the organisational health of clinical units: citations and abstracts, Sydney, NSW. Travaglia, JF, Debono, D, Johnson, J & Braithwaite, J 2010, Clinical indicators, Victoria, Australia. Travaglia, JF, Debono, D, Johnson, J & Braithwaite, J 2010, Clinical audits, Victoria, Australia. Travaglia, JF, Debono, D, Johnson, J & Braithwaite, J 2010, Case review, Victoria, Australia. Travaglia, JF, Debono, D, Johnson, J & Braithwaite, J 2010, Limited Adverse Occurrence Screening, Victoria, Australia. Travaglia, JF, Debono, D, Johnson, J & Braithwaite, J 2010, Peer review, Victoria, Australia. Travaglia, JF, Debono, D, Johnson, J & Braithwaite, J 2010, Morbidity and mortality reviews, Victoria, Australia. Travaglia, JF, Debono, D, Johnson, J & Braithwaite, J 2010, Patient satisfaction and complaints, Victoria, Australia. Johnson, J, Debono, DS, Hanson, C & Travaglia, J Centre for Clinical Governance Research 2009, An Evaluation of the Central Line Associated Bacteraemia in Intensive Care Units (CLAB-ICU) Project, Sydney, NSW. Braithwaite, J, Debono, DS & Travaglia, J Centre for Clinical Governance Research, University of New South Wales 2009, Social Space and Boundaries in Organisational Studies: A Review of the Literature, pp. 102-102, Sydney, NSW. Travaglia, J, Braithwaite, J & Debono, DS Centre for Clinical Governance Research, University of New South Wales 2008, Protocol for the rapid assessment, conceptualization, and timely concise analysis of the literature [PRACTICAL], pp. 26-26, Sydney, NSW. Braithwaite, J & Debono, DS 2008, Volunteering in developing countries: a review of the health literature, pp. 50-50, Sydney, NSW. Cunningham, M, Debono, DS, Zwar, N, Stillman, S, Richmond, R, Borland, R & Litt, J 2002, Report on Stakeholder Consultation, Australian Best Practice Guidelines and Supporting Materials for General Practitioners in Smoking Cessation, Australia. Debono, DS, Carter, D, Saunders, C, Dulagil, E & Travaglia, J 2017, 'Health services managers' work-as-imagined vs work-as-done'. Long, JC, Debono, DS, Potter, M, O'Neill, S, Morris, S & Taylor, N 2016, 'Precious resources: rich rewards from true consumer partnership'. Debono, DS, Taylor, N, Greenfoeld, D, Black, D & Braithwaite, J 2016, 'Using the Theoretical Domains Framework to identify barriers to nurses' use of electronic medication management systems in two Australian hospitals.'. Greenfield, D, Debono, DS, Mumford, V, Testa, L, Hogden, A, Pawsey, M, Westbrook, J & Braithwaite, J 2016, 'Accreditation of general practices: stakeholders' attitudes and experiences'. Long, J, Debono, DS & Taylor, N 2016, 'Detection of Lynch syndrome through behavioural and implementation science'. Taylor, N, Potter, M, Debono, DS & Long, JC 2016, 'Successfully working with consumers: presentation to the Translational Cancer Research Network Consumer Advisory Council'. Debono, DS 2015, 'Learning the rules of the game: how 'good nurses' negotiate workarounds'. Debono, DS, Johnson, J, Greenfield, D, Black, D & Braithwaite, J 2015, 'Harnessing workarounds to improve quality of care.'. Debono, DS, Long, J & Taylor, N 2015, 'Using theory and implementation science to improve quality and safety.'. Long, J, Taylor, N, Debono, DS, Braithwaite, J, Chin, M, Williams, R, Salisbury, E, O'Neill, S, Phan-Thien, K-C & Eyknab, E 2015, 'Achieving behaviour change for best practice.'. Debono, DS, Greenfield, D, Black, D & Braithwaite, J 2015, 'Electronic medication management systems: supporting and challenging nurses' delivery of patient-centred care'. Debono, DS, Greenfield, D, Travaglia, J & Braithwaite, J 2015, 'Trade-offs between hospital policy and effective care: the case for and against workarounds in medication safety'. Greenfield, D, Hogden, A, Debono, DS & Braithwaite, J 2015, 'Health professional attitudes to accreditation programs and their impact on safety and quality: a survey of the aged care, acute and general practice sectors in Australia'. Li, Y-C, Greenfield, D, Hogden, A & Debono, DS 2015, 'Healthcare research for quality and safety professionals: study design, implementation and translation'. Greenfield, D, Hogden, A, Mumford, V, Debono, DS, Pawsey, M, Westbrook, J & Braithwaite, J 2015, 'Improvement and implementation science research: key findings from studies into health service accreditation programs'. Greenfield, D, Mumford, V, Hogden, A, Debono, DS, Pawsey, M, Westbrook, J & Braithwaite, J 2015, 'Health service accreditation programs: translational research value and findings'. Greenfield, D, Mumford, V, Hogden, A, Debono, DS, Pawsey, M, Westbrook, J & Braithwaite, J 2015, 'Health service accreditation program research: findings from a decade long program of research'. Debono, DS, Greenfield, D, Taylor, N, Black, D & Braithwaite, J 2015, 'Barriers and levers to nurses' use of electronic medication management systems in two Australian hospitals'. Hogden, A, Debono, DS & Greenfield, D 2015, 'Qualitative healthcare research: designing, conducting and reporting a rigorous study'. Greenfield, D, Hogden, A & Debono, DS 2015, 'Healthcare research for quality and safety professionals'. Debono, DS, Greenfield, D, Black, D & Braithwaite, J 2014, 'Working around 'The Clocks': nurses' responses to electronic overdue medication alerts.'. Debono, DS, Greenfield, D, Black, D & Braithwaite, J 2014, 'Electronic medication systems in everyday practice: what do nurses think?'. Greenfield, D, Hogden, A, Debono, DS, Hinchcliff, R, Mumford, V, Pawsey, M, Westbrook, J & Braithwaite, J 2014, 'Tell us what you really think – how accredited organisations view accreditation and how it impacts on quality'. Debono, DS, Greenfield, D, Black, D & Braithwaite, J 2014, 'Nurses' use of electronic medication management systems in everyday practice: nurses' perceptions of enablers, challenges and impact on quality and safety'. Greenfield, D, Hogden, A, Mumford, V, Debono, DS, Pawsey, M, Westrbook, J & Braithwaite, J 2014, 'Strengthening organisational performance through accreditation research: the ACCREDIT project progress mid-2014'. Braithwaite, J, Greenfield, D, Hogden, A, Mumford, V, Debono, DS, Pawsey, M & Westbrook, J 2014, 'Strengthening organisational performance through accreditation research: the ACCREDIT project progress mid-2014'. Debono, DS, Greenfield, D, Black, D & Braithwaite, J 2014, 'Nurses' use of electronic medication management systems in everyday practice: barriers, enablers and workarounds'. Debono, DS, Greenfield, D, Black, D & Braithwaite, J 2014, 'Nurses' use of electronic medication management systems in everyday practice: preliminary findings'. Greenfield, D, Debono, DS, Hogden, A, Hinchcliff, R, Mumford, V, Pawesey, M, Westbrook, J & Braithwaite, J 2014, 'ACHS survey coordinator development day: survey reliability - feedback from 2013 (the ACCREDIT project)'. Debono, DS & Braithwaite, J 2013, 'How everyday functioning in acute care really works: the case of nurses' workarounds'. Debono, DS & Marjadi, B 2013, ''I am not spying on my colleagues... or am I?' Qualitative Research Seminar'. Travaglia, J & Debono, DS 2013, 'Leading and sustaining change: a workshop for WIG 4'. Travaglia, J, Debono, DS & Braithwaite, J 2013, 'Consumer Feedback: What did you tell us?'. BACKGROUND: Healthcare professionals develop workarounds rather than using electronic health record (EHR) systems. Understanding the reasons for workarounds is important to facilitate user-centered design and alignment between work context and available health information technology tools.OBJECTIVE: To examine both paper- and computer-based workarounds to the use of EHR systems in three benchmark institutions.METHODS: Qualitative data were collected in 11 primary care outpatient clinics across three healthcare institutions. Data collection methods included direct observation and opportunistic questions. In total, 120 clinic staff and providers and 118 patients were observed. All data were analyzed using previously developed workaround categories and examined for potential new categories. Additionally, workarounds were coded as either paper- or computer-based.RESULTS: Findings corresponded to 10 of 11 workaround categories identified in previous research. All 10 of these categories applied to paper-based workarounds; five categories also applied to computer-based workarounds. One new category, no correct path (eg, a desired option did not exist in the computer interface, precipitating a workaround), was identified for computer-based workarounds. The most consistent reasons for workarounds across the three institutions were efficiency, memory, and awareness.CONCLUSIONS: Consistent workarounds across institutions suggest common challenges in outpatient clinical settings and failures to accommodate these challenges in EHR design. An examination of workarounds provides insight into how providers adapt to limiting EHR systems. Part of the design process for computer interfaces should include user-centered methods particular to providers and healthcare settings to ensure uptake and usability. Plumb, J & Debono, DS 2012, 'How does safe care happen? Using ethnography to study safety in real time.'. Debono, DS, Greenfield, D, Black, D & Braithwaite, J 2012, 'Do electronic medication systems impact patient safety: What do the frontline clinicians think?'. Debono, DS, Greenfield, D, Black, D & Braithwaite, J 2012, 'Workarounds with electronic medication management systems: Progress Review Presentation Session 2012'. Travaglia, J, Robertson, H, Wiley, J & Debono, DS 2012, 'Why vulnerability matters', Australian Healthcare & Hospitals Association, pp. 16-18. Debono, DS, Travaglia, J, Thoms, D & Braithwaite, J 2011, 'Strengthening the leadership role of Nursing/Midwifery Unit Managers.'. Debono, DS, Braithwaite, J, Oates, K & Spigelman, A 2011, 'Are there champions, experts or competing demands for teaching about patient safety in medical schools?'. Debono, DS, Greenfield, D, Black, D & Braithwaite, J 2011, 'Engaging with electronic medication management systems in everyday practice: how is it done?'. Travaglia, J, Phillips, C, Leahy, T, Debono, DS, Robertson, H, Rosenfeld, T & Wiley, J 2011, 'The greatest challenge of them all: ensuring the quality and safety of care for vulnerable groups'. Debono, DS, Johnson, J, Travaglia, J, Greenfield, D & Braithwaite, J 2010, 'The Implication of Workarounds for Guideline Implementation.'. Debono, DS, Greenfield, D, Black, D & Braithwaite, J 2010, 'Using workarounds to get the job done: PhD presentation'. Debono, DS, Ting, HP & Taylor, N, 'Living with Lynch Syndrome: a world-first survey of families living with Lynch Syndrome'. Debono, DS, 'Procedure Manual for Administration Support of Postgraduate Research Students'. Hogden, A, Debono, DS, Long, J & Greenfield, D, 'Appraising academic publications: tips for effective reading and writing for quality and safety professionals'.